A while back I wrote about playing around with different distributions on an older laptop I had lying around. Well my time with Zorin OS has come to an end and I thought I might try out a distribution I’d been meaning to mess with for some time now: Arch Linux. 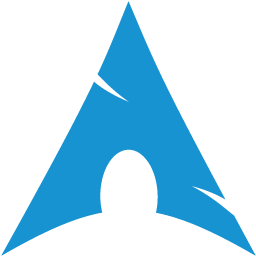 Arch Linux is an interesting distribution where you sort of build your own setup using some excellent tools provided by the Arch team. So instead of downloading, say, an Ubuntu ISO and installing everything that the Ubuntu team had decided to include, with Arch you download an Arch ISO which includes only the tools needed to help you download and install the packages and components that you want for your Linux installation. This gives you quite a bit of flexibility but also comes with some added complexity, which is honestly why I’ve been putting it off for a while. That said on the difficulty scale Arch is supposed to be a bit more friendly than Gentoo and if you’ll recall I had plenty of fun with Gentoo so this can’t be so bad right? Warning: this command will destroy any data you had on your USB drive so be careful when running it! Lucky for me I didn’t get any errors when running that command which means my machine should already have the correct drivers to use! OK so now the first big choice: do I want to manage my wireless network manually or automatically? Well seeing as I’m pretty lazy, and far more likely to break something if I do it manually, I opted for the automatic approach and chose netctl to help because it was included in the download ISO. After reading about where to copy example configuration files from and where they need to go I stumbled across something about a neat command called wifi-menu which helps to automate things for you. Sounds just like what I need! Running this command, selecting my WiFi network and entering the password created the configuration file I needed and put it into the right directory location at /etc/netctl! Now was the big test… would it work? This printed a lot of info but it highlighted that the reason it failed was because the interface was already up? Uhh… OK? Cool so now that I’ve master command line WiFi kung fu and I’m internet enabled I can continue with my installation. What super exciting next step stands in my way to total Arch installation? Oh… updating the system clock… cool. Alright, now to mount my partition so the real fun can begin! Which I guess means it’s time to chroot into our new system! Apparently you also need to add “LANG=en_US.UTF-8” (without quotes) to the file /etc/locale.conf. And obviously the most important step: naming your machine by adding its name to the file /etc/hostname. The installation guide also recommends you add “127.0.1.1 myhostname.localdomain myhostname” to your /etc/hosts. What happens if you don’t? No idea, but if they thought it deserved a recommendation then I’m going to do it! which actually installed and configured it as the boot loader. which also re-generated the grub config file so that it could correctly use the microcode. OK we’re at the moment of truth… will it actually boot? Success! It booted to a login where I was able to login as root without issue. Unfortunately it appears as though my networking was no longer working and after some investigation it looks like it didn’t carry over my networking configuration (which must have been stored outside of the chrooted environment). Sadly the base installation did not include the package dialog which was needed for the wifi-menu command to work. It also didn’t include wpa_supplicant which is needed to connect to my secured WiFi network so I actually had to resort to grabbing an Ethernet cable and installing those two packages after getting a connection that way. Note to future self: remember to install those two packages before finishing with the initial installation. I think I’ll leave it at that for this post. 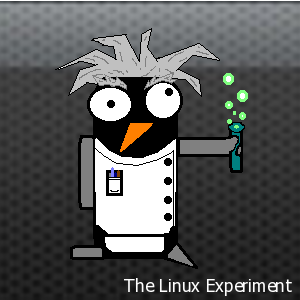 Join me next time as I go through and configure my system!